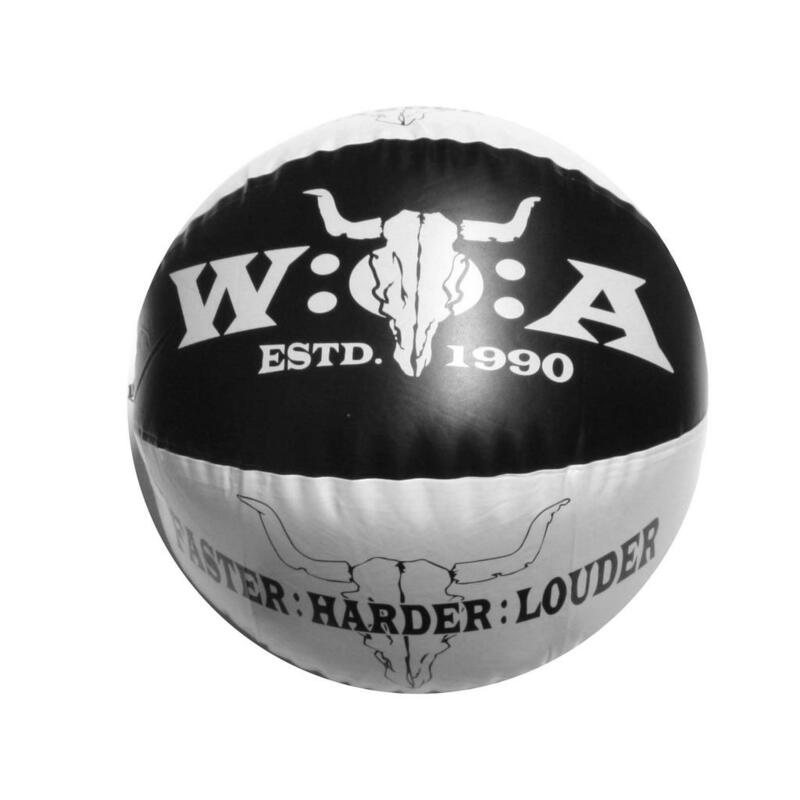 The perfect fun for summer: the W:O:A water ball in black and white is alternately printed with the W:O:A Estd. 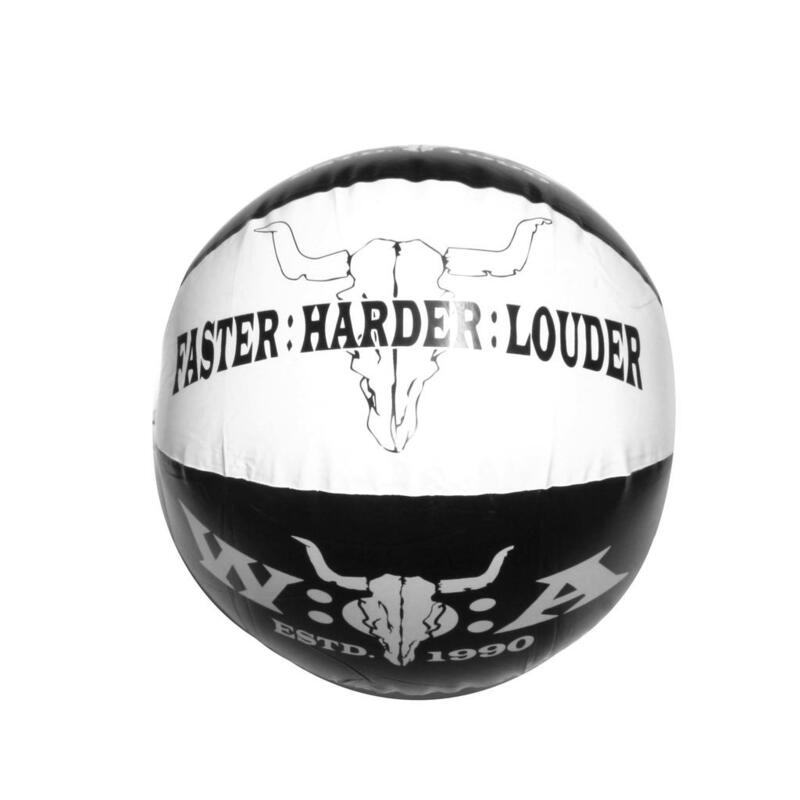 1990 logo and the famous slogan "FASTER, HARDER, LOUDER" and its diameter amounts to about 38 cm. The water ball is an absolute eyecatcher and it comfortably fits in every bag when you let out the air.